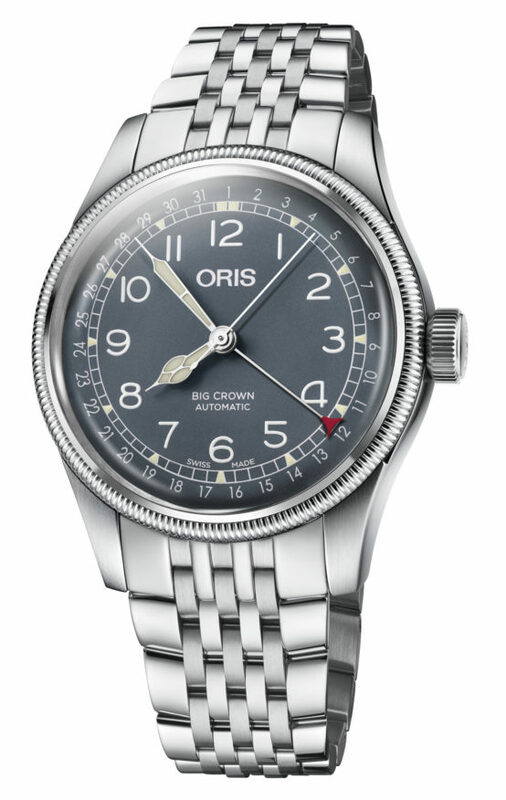 That the Oris Big Crown Pointer Date wears such a, well, big crown is no mystery—such horologic feature, also found in many other watches, traces its roots to the early to mid 1900s when pilots routinely needed to wind the crown while wearing thick gloves. Anyone who knows what “hacking” means, has likely heard of this. 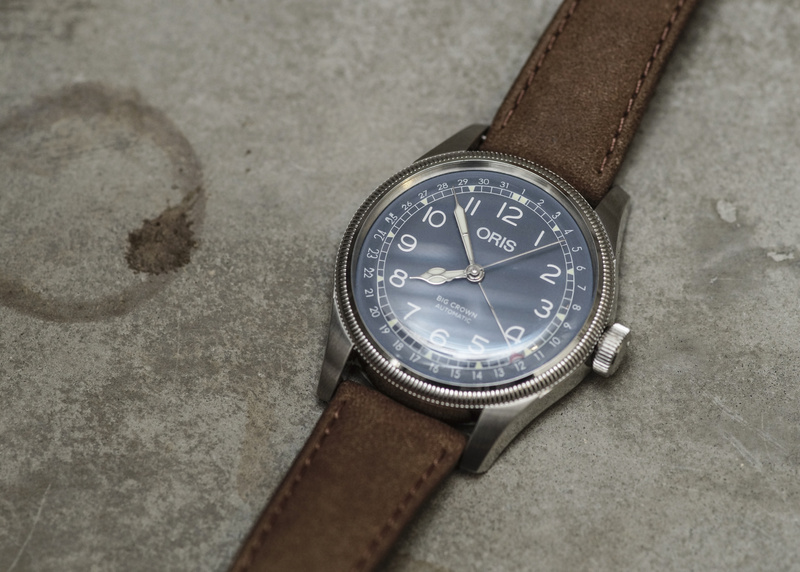 What significance the Big Crown Pointer Date holds for the brand, if not for watch-making in general, is the lesser known fact that this piece stood as a statement that Oris would always dedicate itself to exclusively making mechanical watches. Such a pronouncement, while important, is a lot easier to make these days when building mechanical timepieces is quite a sustainable, even popular, venture. But Oris declared this, through the reintroduction of the Big Crown Pointer Date, at the height of the quartz crisis in the 1980s. Now that was brave. The piece, of course, also serves as a sort of signature for the Swiss brand. 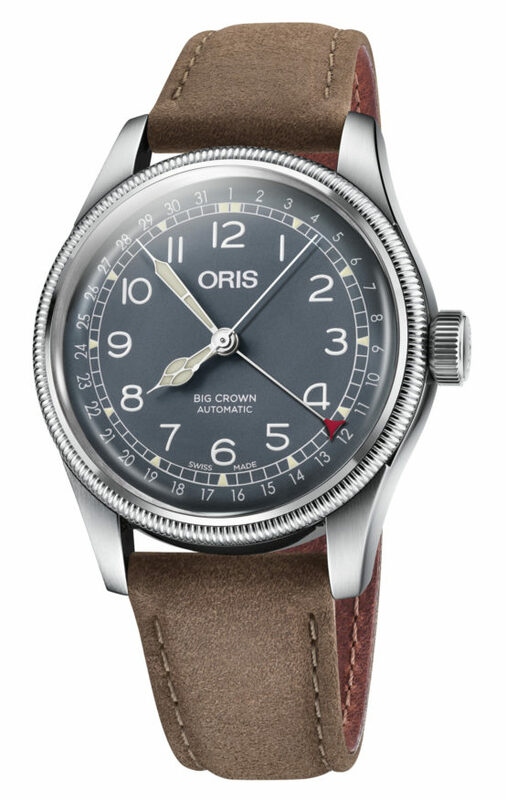 Its origins extend back to 1938 with the release of the original Big Crown, which itself was inspired by Oris’s first pilot pocket watches of the 1910s, and its first pilot wristwatch of 1917. The Big Crown, by the way, was fitted with a button, located at 2 o’clock, which needed to be pressed first before the watch could be adjusted. Try doing that with thick gloves on. While flying an ancient plane. The Big Crown evolved into the Big Crown Pointer Date with the addition of another hand and its accompanying date track running around the edge of the dial. Along with this date pointer hand, a round case, tapered lugs, coin-edge bezel and oversized crown have all come to define the watch’s design. It has proven to be an enduring one, too, as evidenced by the reintroduction of the Big Crown Pointer Date earlier this year. 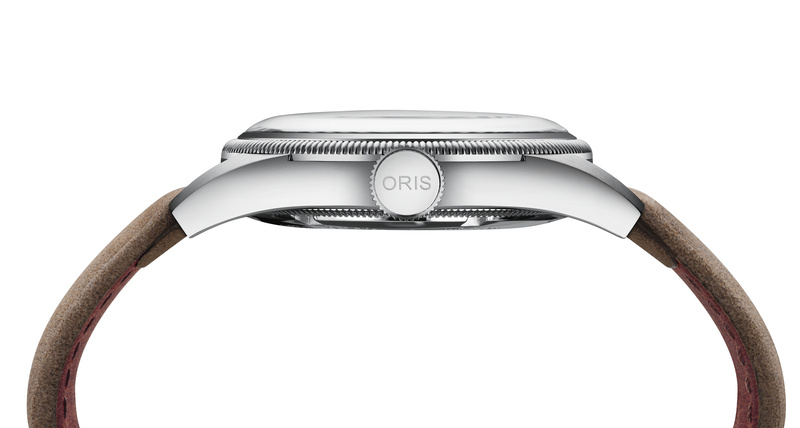 While keeping faithful to its signature visual cues, Oris has updated the watch’s aesthetics by making it slimmer—even the size of its steel case is tempered at 36 millimeters and 40 millimeters. A domed sapphire crystal resides on top of it. The dial, however, very much recalls the vintage ones. The fonts chosen for the Arabic numerals, the railroad track counting the minutes, the cathedral hour and minute hands, the pointer date hand—all look antique (the hour and minute hands, along with the numerals, are coated with Super LumiNova, though). Departing from the past models are the colors available to the dial. 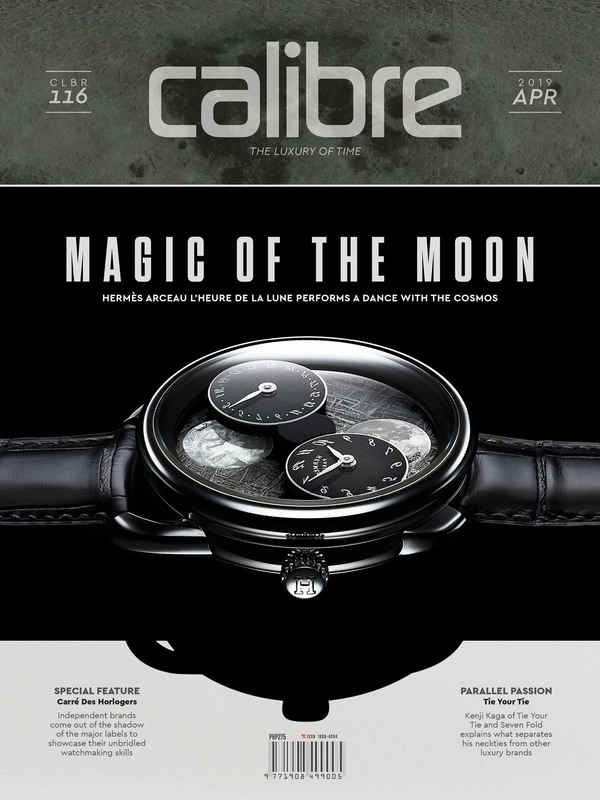 That in the smaller piece comes in a faint green hue (which still sticks to the vintage theme), the larger watch wears a more contemporary grayish blue one. If either color does not tickle one’s fancy, black is always an option. Choices for the strap are a light brown tanned leather piece with a steel pin buckle, and a stainless-steel bracelet. 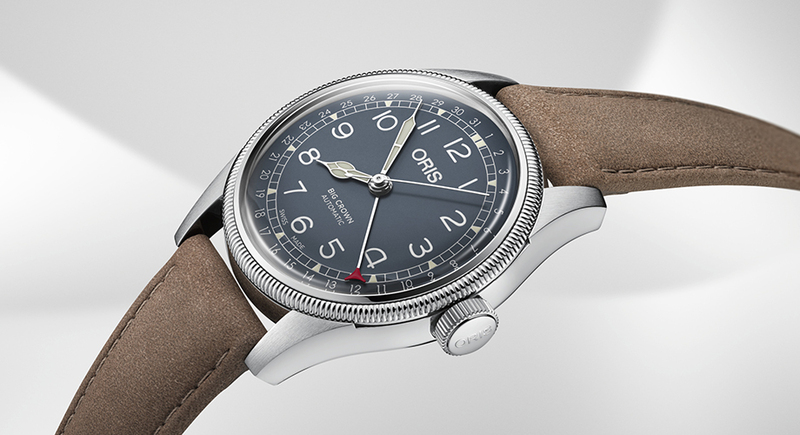 Now, as proof Oris is sticking to its horological guns, the Big Crown Pointer Date is powered by an Oris self-winding movement—the calibre 754, which is based on the Sellita SW200-1, meaning it’s a proven workhorse that sees duty in a number of watch brands. Visible through a mineral glass in the screw-down steel caseback, this 26-jewel movement spins at 28,800vph and has a rated power reserve of 38 hours (in Sellita trim). Yes, it isn’t exactly groundbreaking, but it’s proudly, rightfully mechanical.